If it ain’t Baroque, don’t fix it: your favorite art contest is back! Today we’re kicking off the 2016 Doodle 4 Google contest, where art-loving K-12 students from across the U.S., Guam and Puerto Rico are invited to bring their imagination to life in a doodle of the Google logo, using any medium they choose. The winning masterpiece will hang on the Google homepage for a day, where millions will enjoy it. We like to think about what’s next. So we’re asking kids to imagine what awaits them in the years to come and represent that vision of this year’s theme: “What I see for the future…” Yes, that means anything they see — even if it includes flying dogs, living on a shooting star, the trip of their dreams, or for the true Futurists out there — perhaps a distant world filled with dazzling new technology of all shapes and sizes. This year’s contest is going to be one for the record books; the future and the ways to depict it are limitless. That’s why we’ll have an all-star group of judges including our very own Google Doodlers help select the National Winner. 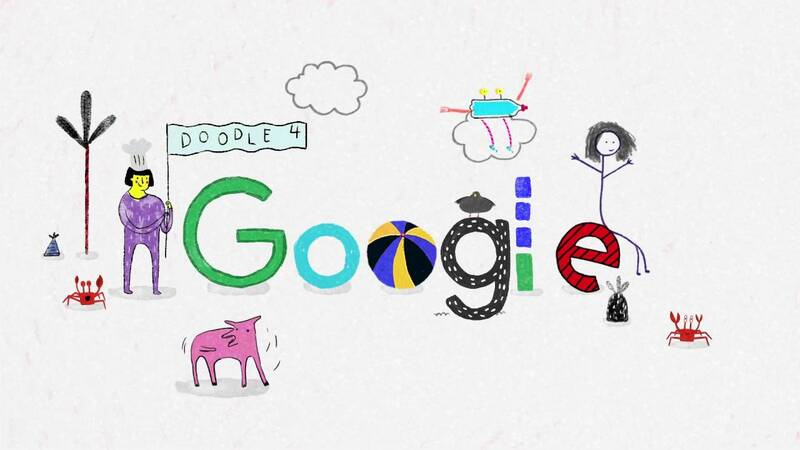 In addition to the homepage showcase, the winner will receive $30,000 towards a college scholarship, and the opportunity to work with the Doodle team at the Googleplex in Mountain View. As an added bonus: Their home school will get to spend $50,000 on technology to help foster the next generation of professionals (and who knows, maybe future Googlers, too!). Submissions are open until December 2, 2016. So for you parents, teachers, babysitters, camp counselors or non-profit leaders out there: Encourage your kids and students to apply. We can’t wait to see what wonders await in their dreams for the future. And now, we bid you farewell as we’re Van Goghing, Goghing, Gone.